Very happy to hear that your little mob is thriving up here! What a wonderful surprise – this has made my day Brett! 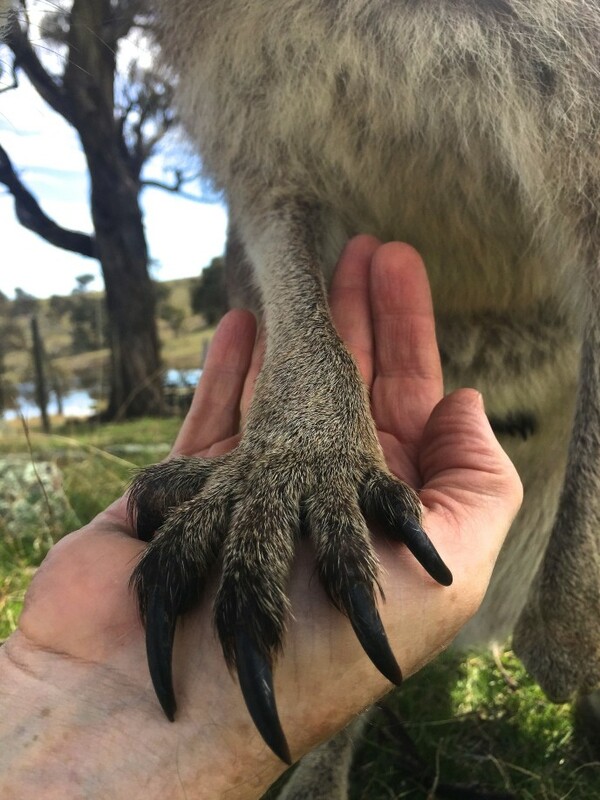 It’s great to hear that the kangas are thriving and I’m sure you love visiting them. Beautiful shot with River’s hand in yours. They will never forget you. Did you visit Dolly? It’s a magical property – it brings a tear to the eye to think someone else will be calling it home. Sorry, I don’t know of anyone who could purchase it at the moment. Best wishes, Linda at the Kangaroo Hilton. Our little mob now numbers 15 and we have 3 pinkeys in pouches.